Custom Veteran's Day Flags - Order Online Today! Show your patriotism this Veteran's Day by making a fabric flag! Fabric flags are a great way to show your appreciation to veteran's and thanking them for there service. 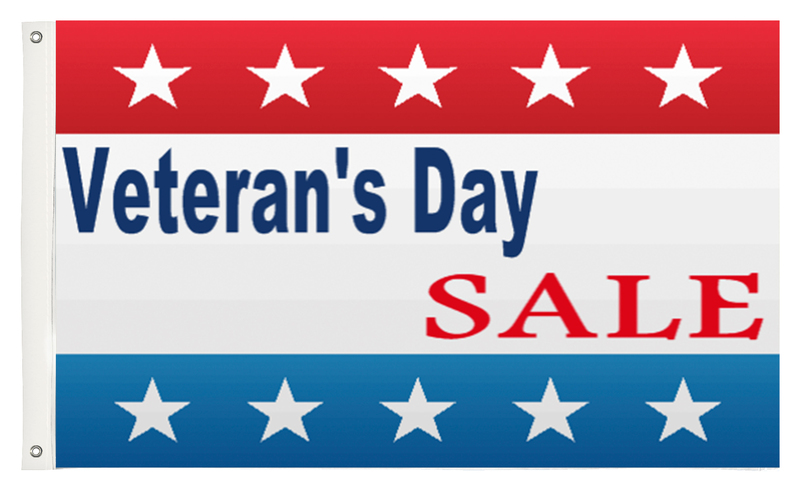 You can also use Veteran's Day fabric flags to advertise sales, promotions and more.